President Mohammadu Buhari will on Wednesday. January 16, 2019. visit Delta state in continuation of his quest for re-election in the presidential poll of February 2019. The President will also use the occasion to formally flag-off the All Progressives Congress, APC, campaigns in Delta state. 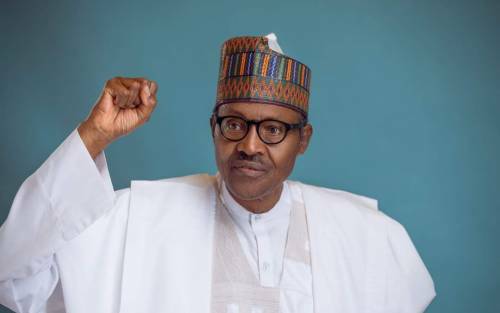 The rally scheduled to take place at Warri Township stadium, Warri , beginning from 9.00am , according to the Director General , DG, of Delta State APC Campaign Council, Timinimi George, will be attended by APC governors, National Assembly members , party leaders, members and thousands of Deltans who have been yearning to see the President in Delta State. In the words of the DG, "the presidential rally and formal flag -off of our campaign will mark a loud turning point and sign post our collective quest to decisively defeat PDP at all levels of elections in Delta State. He further stated that the APC governorship candidate. Olorogun Great Ovedje Ogboru and the Chairman of the Delta APC Campaign Council and a former governor of Delta state, Dr Emmanuel Uduaghan, will lead the teeming APC supporters and members to welcome President Buhari to the rally he says will be one of the biggest ever in Delta Delta. " Even our opponents will know that the game is up " when they see the crowd ", he quibbed . In the same vein, the Secretary to the Campaign Council , Omaruaye Peter added that APC in the State are coming together to welcome the President. The "gulf that separates some of our members are closing up fast. So we are coming all out to make a statement that Deltans are ready to cast their votes for President Buhari, for our governorship and all other candidates in Delta. But more important is the fact that the rally will offer Deltans opportunity to see the Predident and hear with their own ears the good things that will be coming to our own Delta State and of course Nigeria if we join hands to re-elect him" he stated. He added that Olorogun Great Ogboru, the governorship candidate will also open the content of his manifestofor the people of Delta state to know that he is indeed their best choice for governor, come March 2019.